There was a problem when submitting your request. Welcome to Rainbow Hi-Tech Inc Professional LED Digital Signage Website. Rainbow Hi-Tech is now into the next phase of its growth and development. Our mission is to provide the highest quality products at the most economical prices and to support you or your customer with the best service. Our business is built on integrity, efficiency, and quality. The products we manufacture withstand the test of time and change. We realize that signage can involve a large capital expenditure. We have worked with many customers and utilized portions of their existing signage and upgraded for less than a complete new sign package would have cost. We have the expertise and resources to fill almost any signage need. We assemble all of our products in our facility and deliver them directly from our factory to you, therefor we can price our products substantially less than our competitors without sacrificing features or quality. 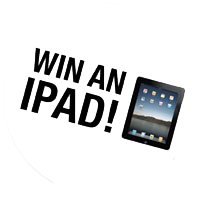 Request a free quote from Rainbow Hi - Tech and be entered into our drawing for The new Apple 3 Ipad Tablet. All of our quotes are free and we offer personalized consultation on your business sign construction. Our focus is to serve the business community using state of the art equipment. Our expert staff will create an effective graphic design and signage for all your needs. Enhancing the value of the businesses we serve. The sign and digital graphics marketplace offers a vast array of products. The options can be overwhelming to choose from. At Rainbow Hi - Tech, we take a consultative approach to installing the right solution for you. After a personal evaluation, we develop solutions that meet your requirements for image, communication and durability. At Rainbow Hi - Tech, we don’t want to make your purchasing decision harder – instead, we want to provide you with an easy shopping experience. That’s why we eliminate the hassles associated with sign and digital graphics projects. We coordinate everything – the design, manufacturing and installation – in a process that adheres to your timeline. We understand that your time is valuable. You demand a sign company that can accommodate your busy schedule. At Rainbow Hi - Tech, we use state of the art equipment, cutting-edge technology, and production management systems to ensure that your signs are ready when you are. As Rainbow Hi - Tech is locally owned and operated, we are committed to providing the personal attention and professional service that you expect from a neighbor. At the same time, we are your local connection to a global network of nearly 200 digitally integrated Rainbow Hi - Tech distributors. We have the resources to execute sign and digital graphics projects of any scope. The brightest moving message LED sign available. Readable in direct sunlight, featuring a wide viewing angle, ideal for numerous indoor and outdoor applications. Now is the time for you to increase your business exponentially with greater product representation and compelling creativity all your own. Keep you customers informed about the current gas prices at your station. Adjust gas prices at a moments notice using our wireless remotes. We offer a wide range of sizes, and LED colors. Additional sizes available by special order. Digital LED Open Signs offer an effective and affordable way to advertise your business. An LED Open Sign from Rainbow Hi - Tech will provide you with years of enjoyment and the bright LED display will generate attention in all environments. 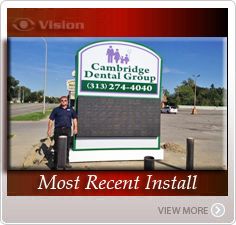 Best of all, LED Open Signs are cool to the touch and easy-to-install! Be sure to check out our huge in-stock inventory of LED Open Signs for sale online! on numerous occasions to help put together programs to educate small business owners on the value of signage and storefront marketing tools. We've helped the SBA with essential research on the value of signage and how it impacts a business and we've developed materials for SBA classes and class curriculum for small business owners. We've even created education videos for small business owners to understand the value of signage. We understand the incredible value America's small business has on our economy and our future. We have always strived to help small business owners grow their business and THRIVE… not just struggle to survive. We continually build our signs each and every day with this in mind. We want to offer the best designed and best quality sign our customers can possibly have, so they can be proud to display it in front of their place of business for years to come. We want all rainbowhi-tech signs to be beacons that bring new customers into all of our customers doors. ©2012-2013 Rainbow Hi-Tech.com All Rights Reserved.